Fallout 4 is a pretty absurd game, on the whole. One moment you might become a comic book hero, the next you might go on a quest for a long-lost drinking buddy robot. That’s just the stuff on the surface. Things can get even stranger, if you look in the right places. Fallout 4 seems to have a variety of different random events, special encounters, and unique dialogue—all of which you may never see even if you pour dozens of hours into the game, as they don’t exist as quests or marked locations. Here are some of the more outlandish things that Bethesda has hidden within Fallout 4. This guy isn’t a synth, as you can see when FluffyNinjaLlama loots the impersonator’s body. This, of course, only makes things weirder. And I love how Preston doesn’t even react to it if he’s with you, either! I wonder how many “kidnappings” in the Commonwealth were actually brutal showdowns between a human and their clone? A chilling thought, spurred by this clip uploaded by John Souders. Well, I will give it to this guy. It’s not a terrible idea. I was too terrified to get this close to the Deathclaw in this mission. But, according to this footage by FluffyNinjaLlama, there is actually unique Deathclaw dialogue! Piper just had to be the Ashley Williams of Fallout 4, didn’t she? (Source: FluffyNinjaLlama). 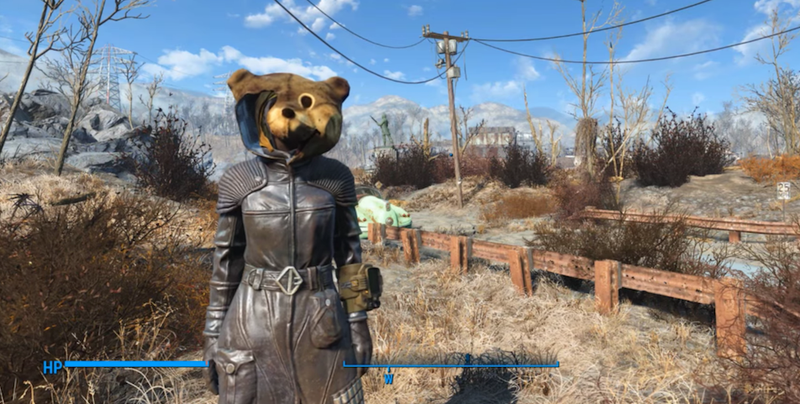 I’m curious: what’s the most absurd thing you’ve encountered in Fallout 4 thus far?